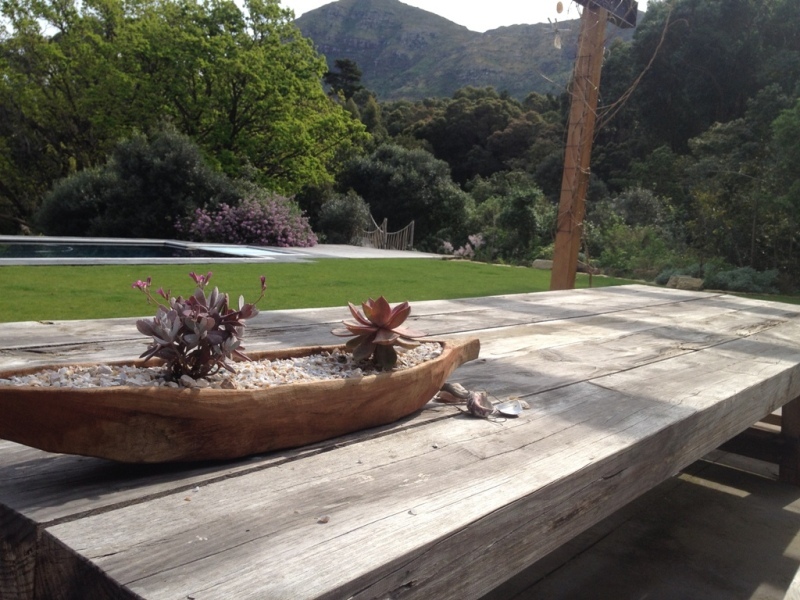 Cape Town is a paradise of environments. 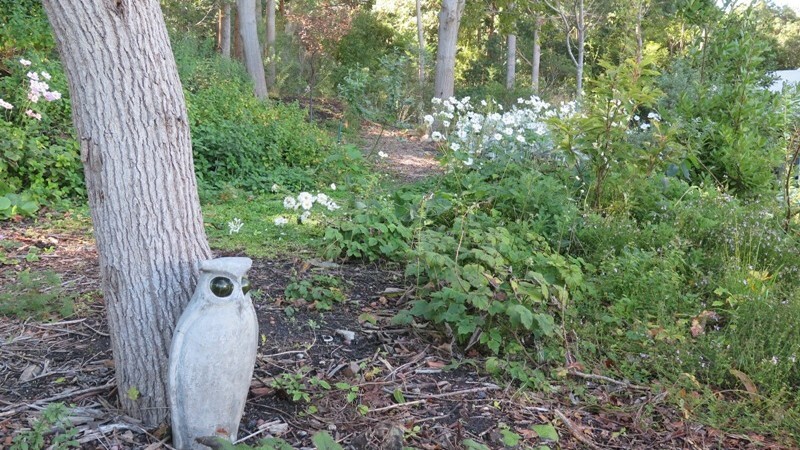 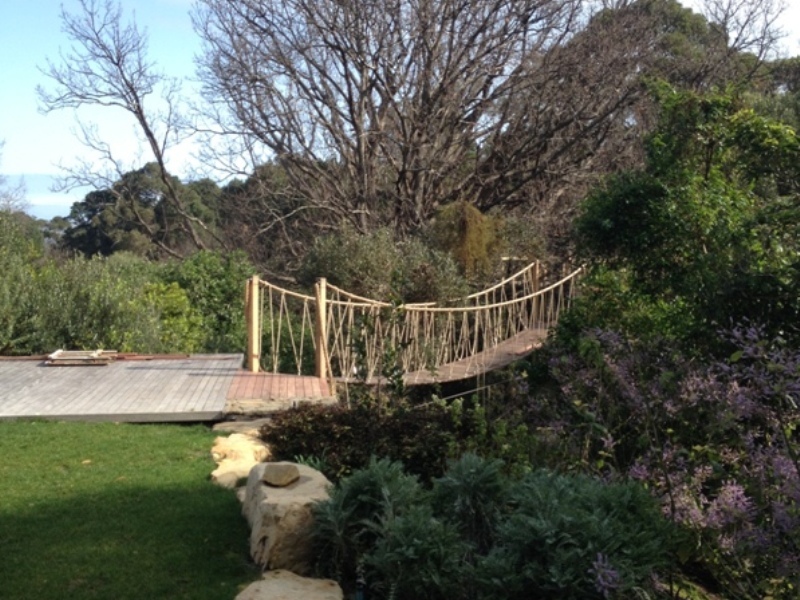 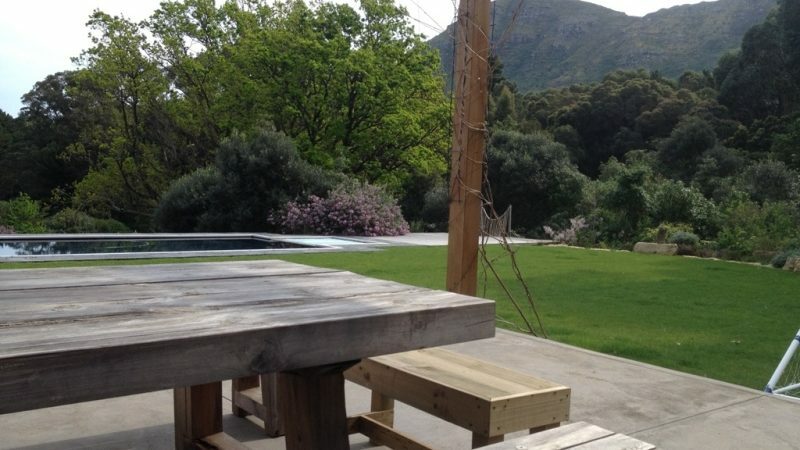 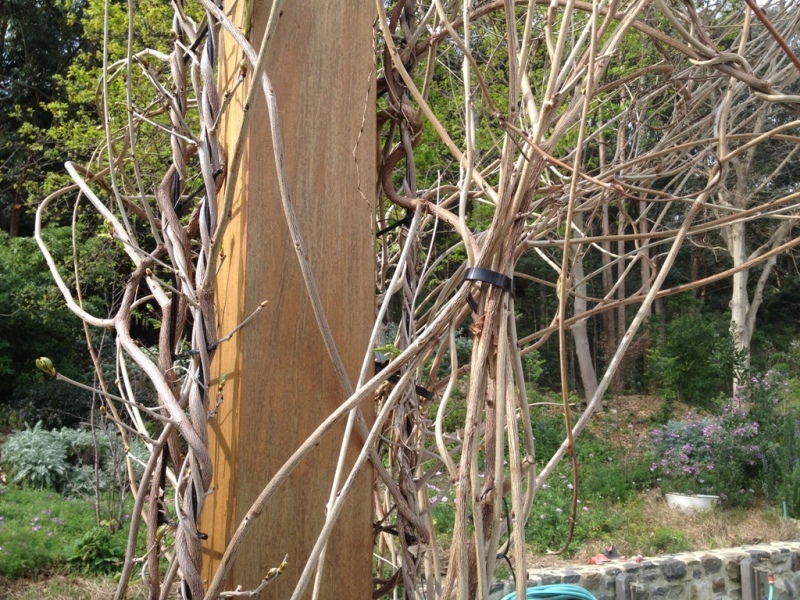 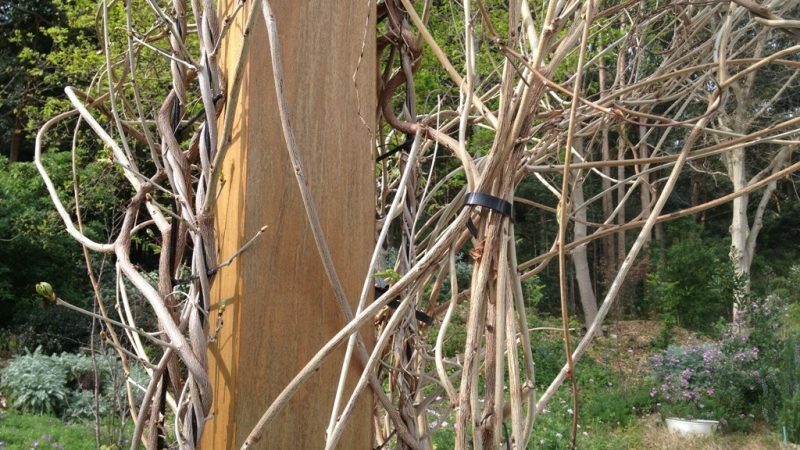 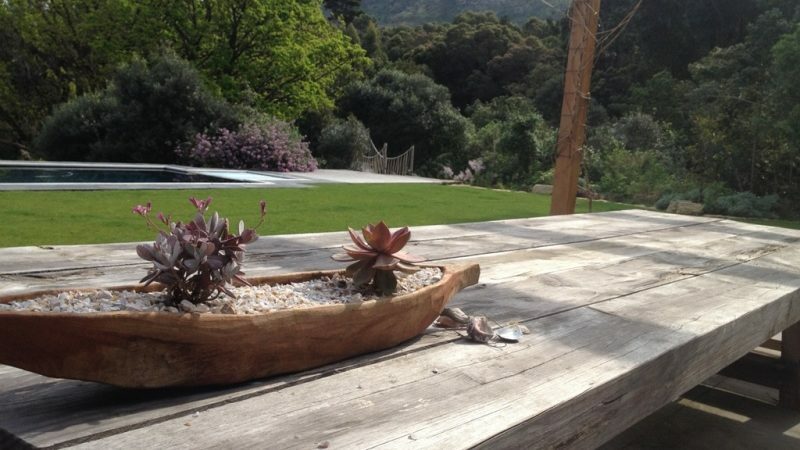 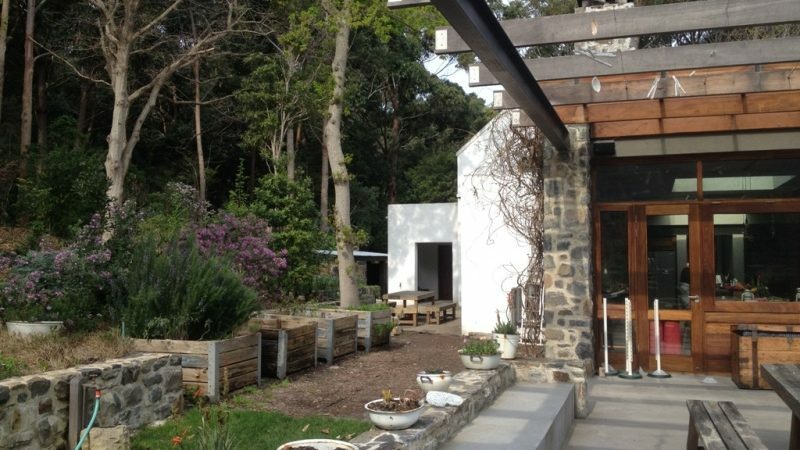 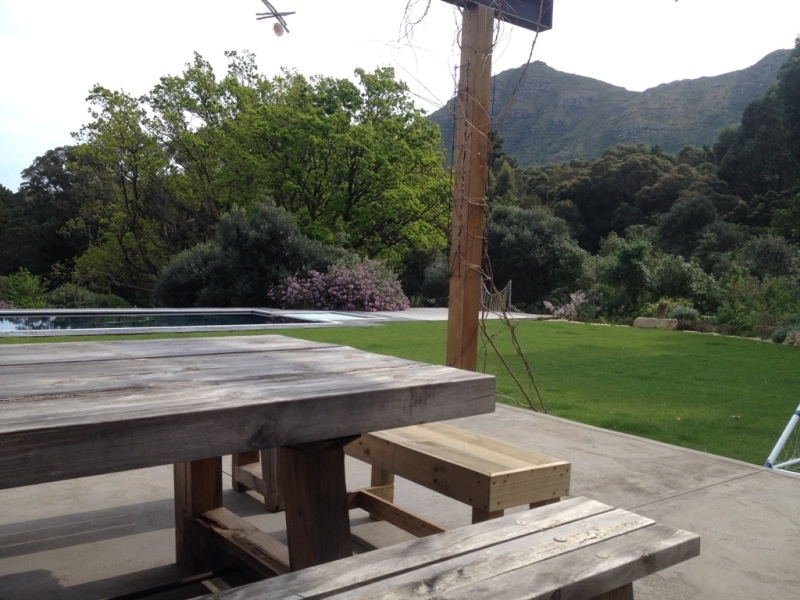 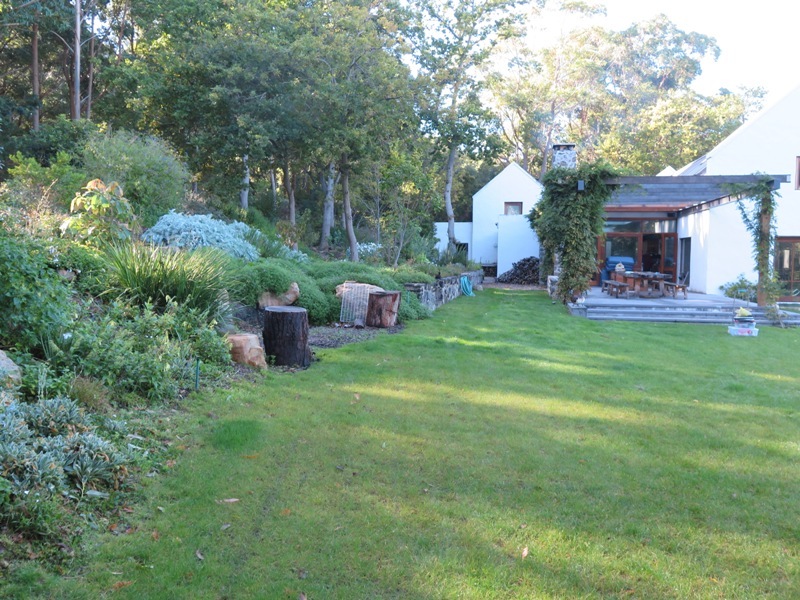 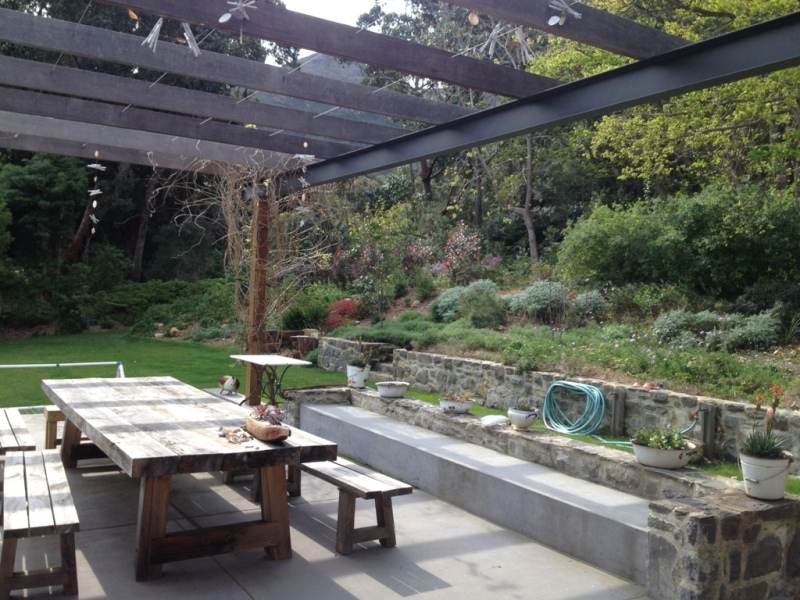 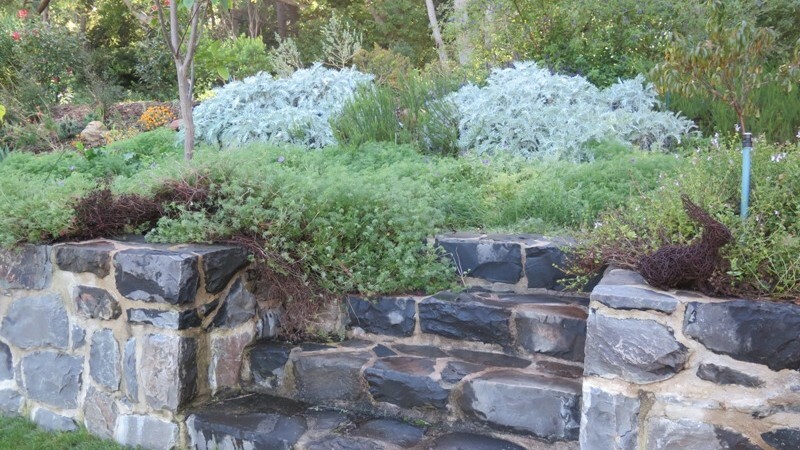 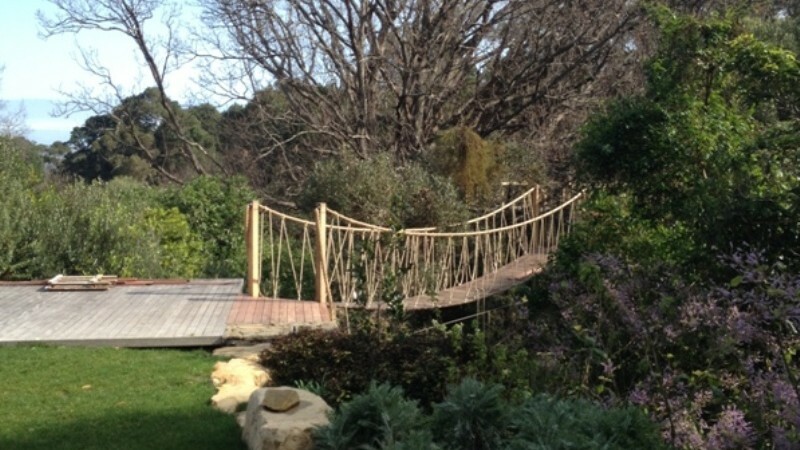 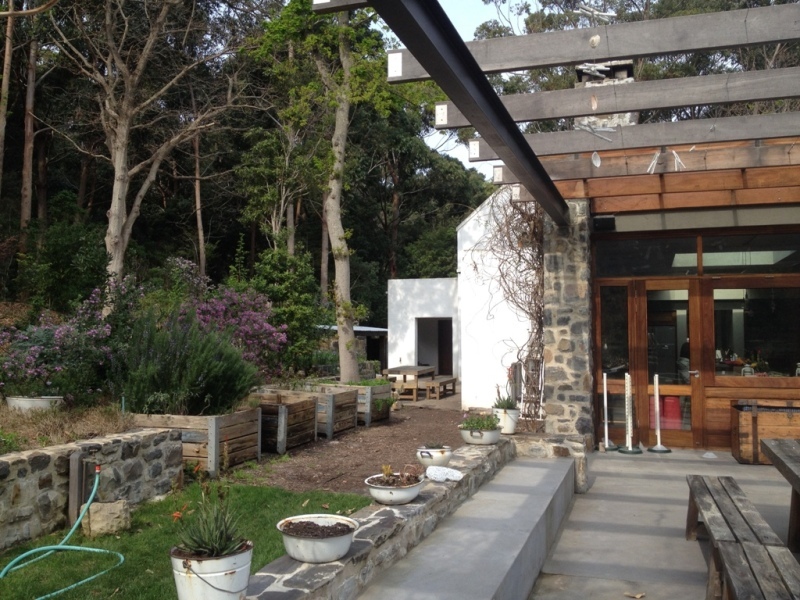 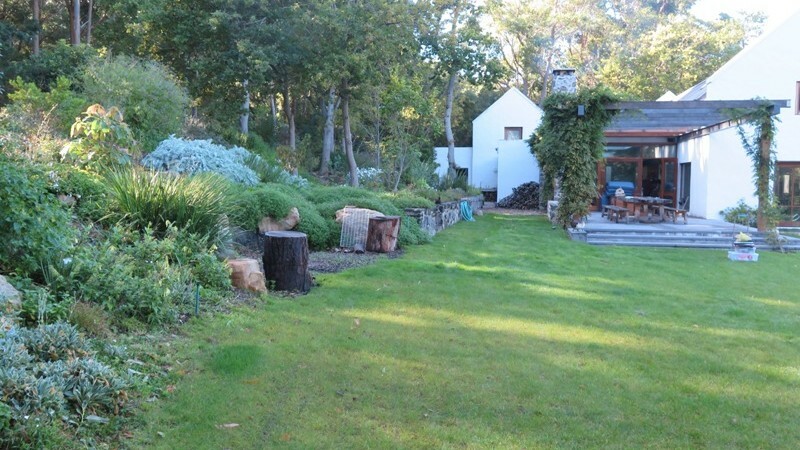 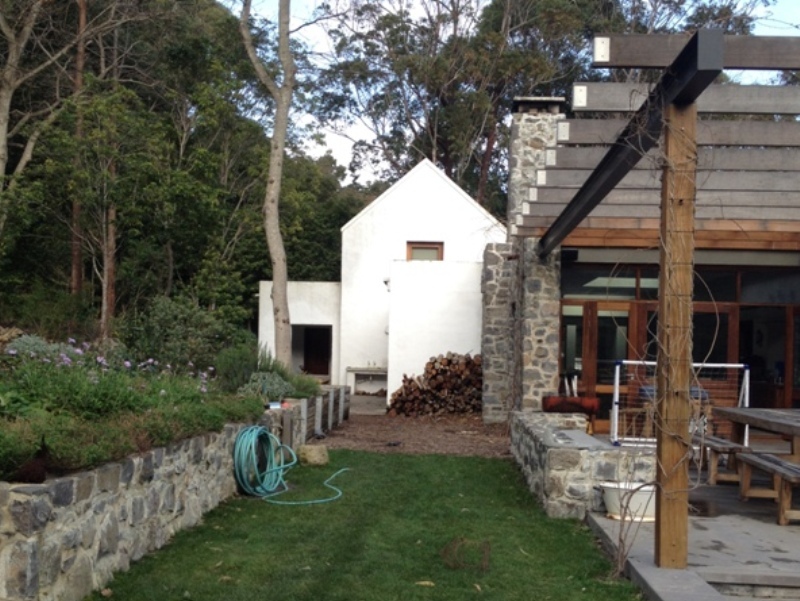 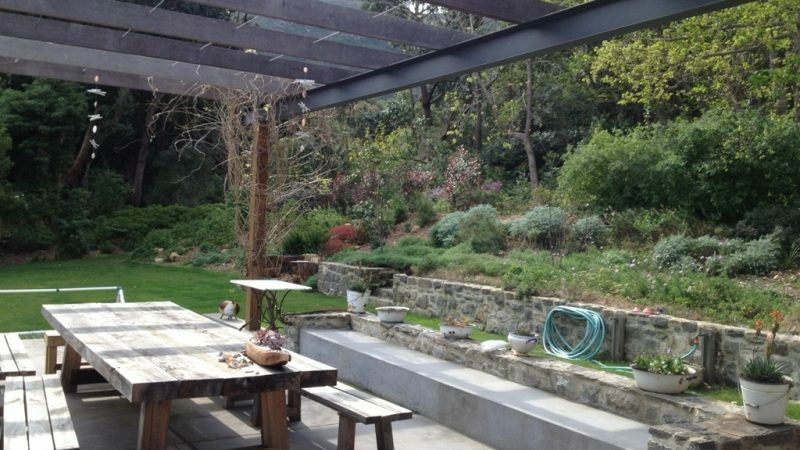 This garden I designed with Marijke Honig and helped to build is in Noordhoek is on an estate surrounded by flowering gum trees and mountainous Fynbos. 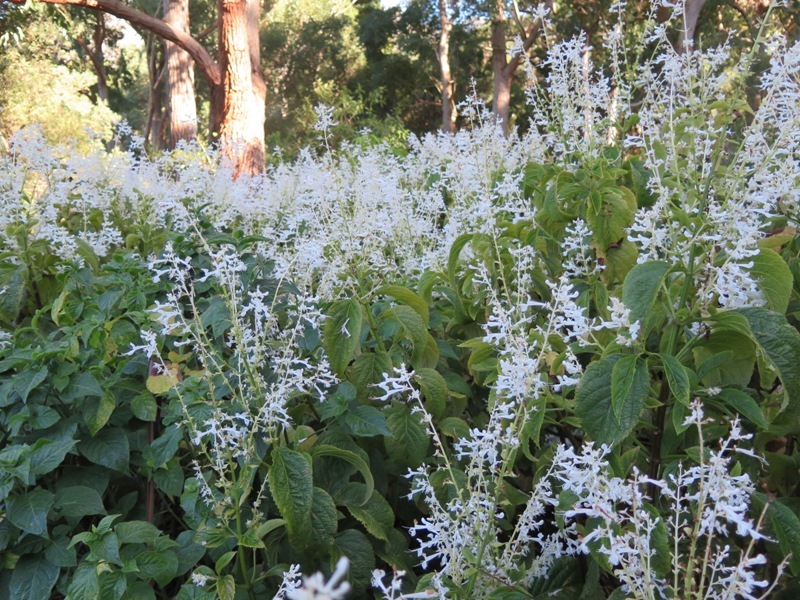 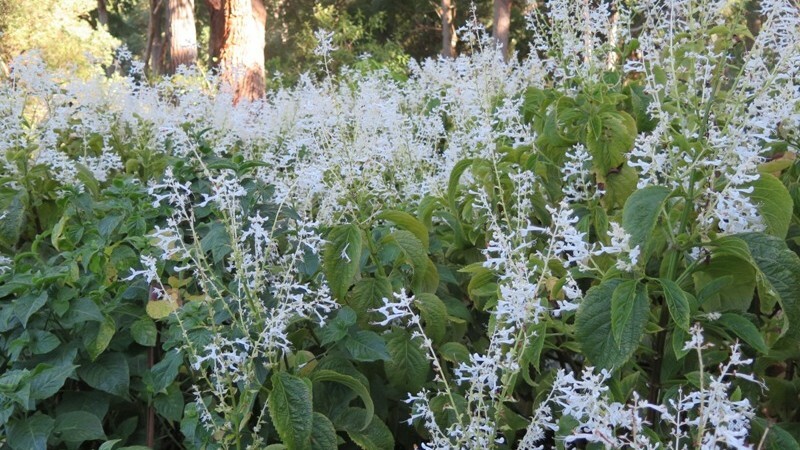 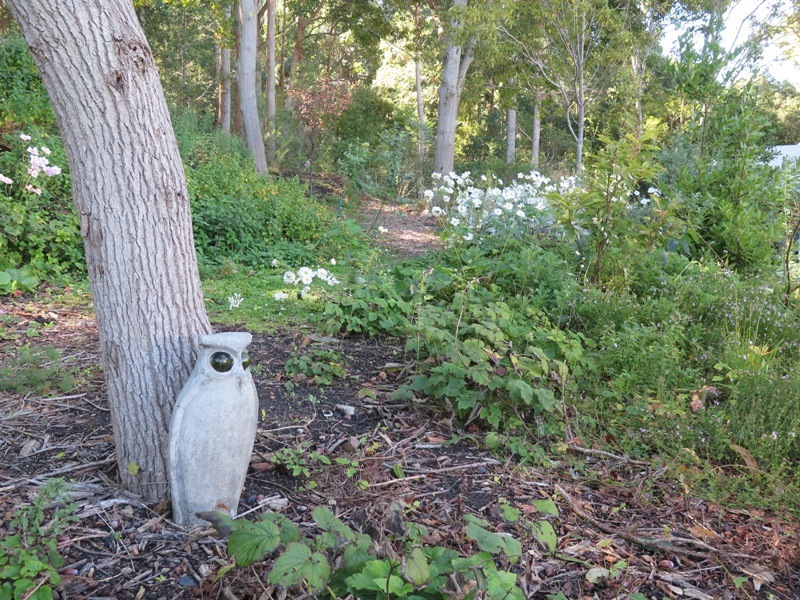 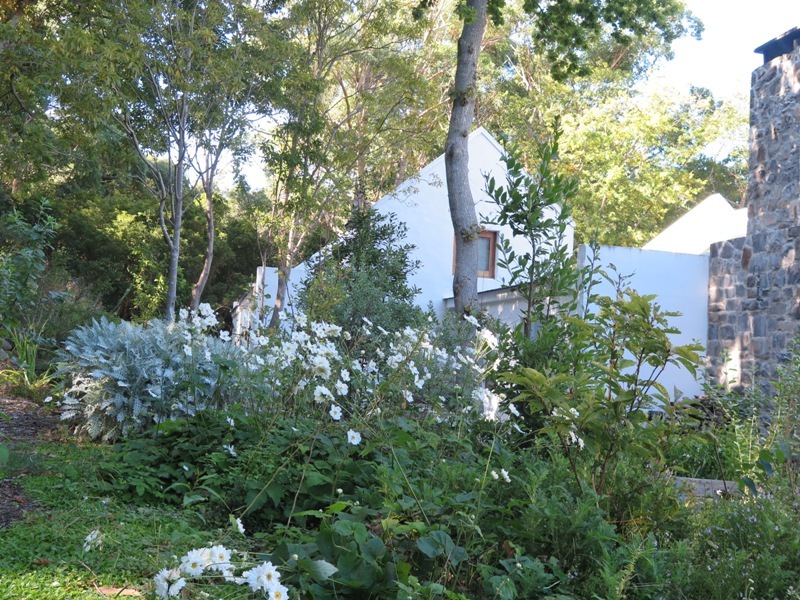 Bees love this area as Fynbos flowers predominantly in winter and the gums in summer. 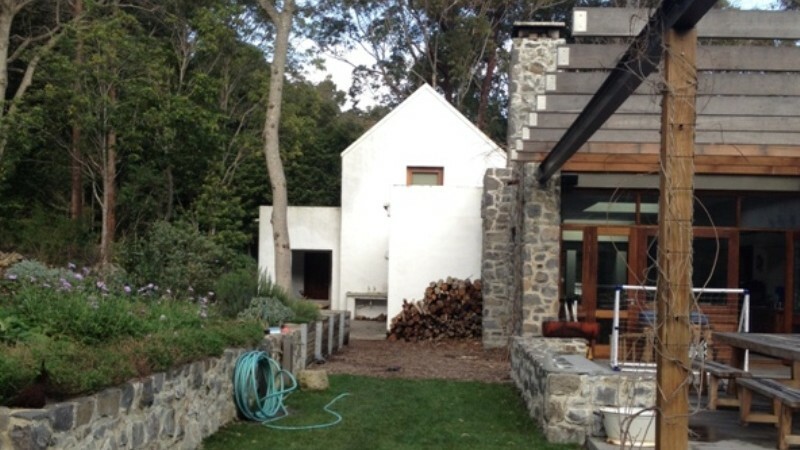 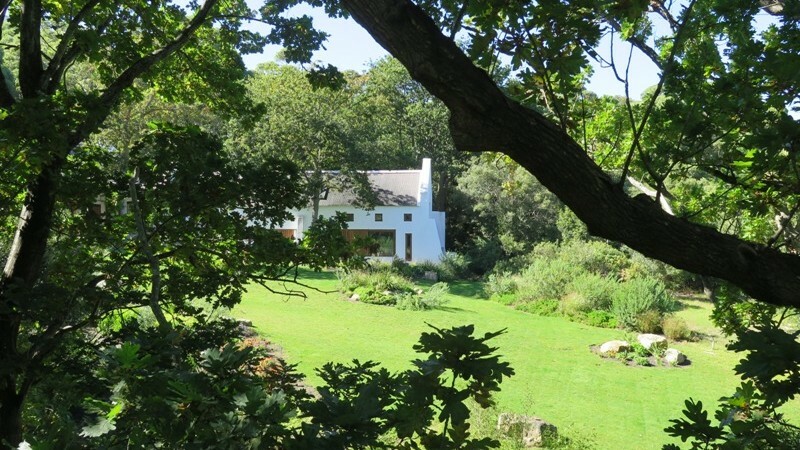 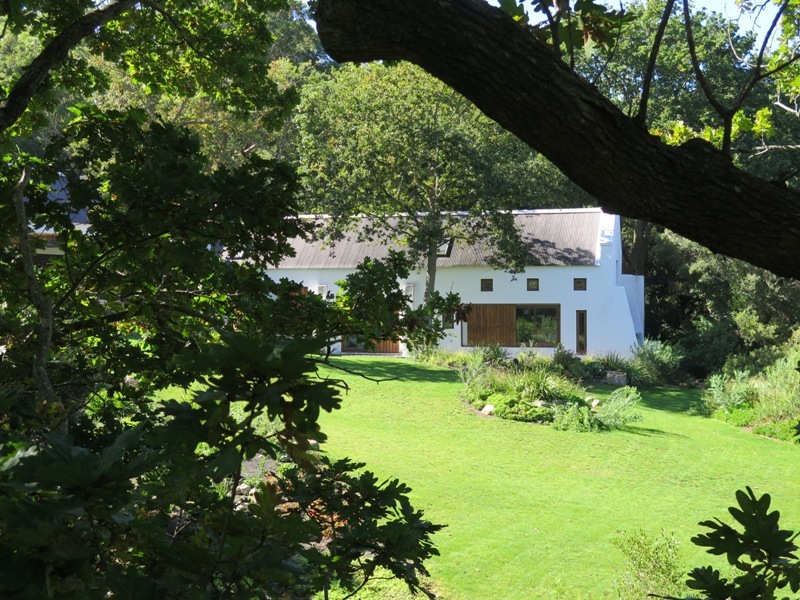 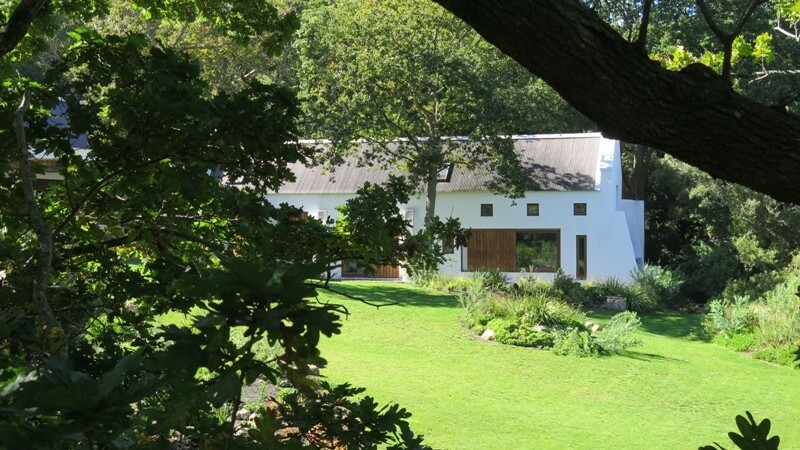 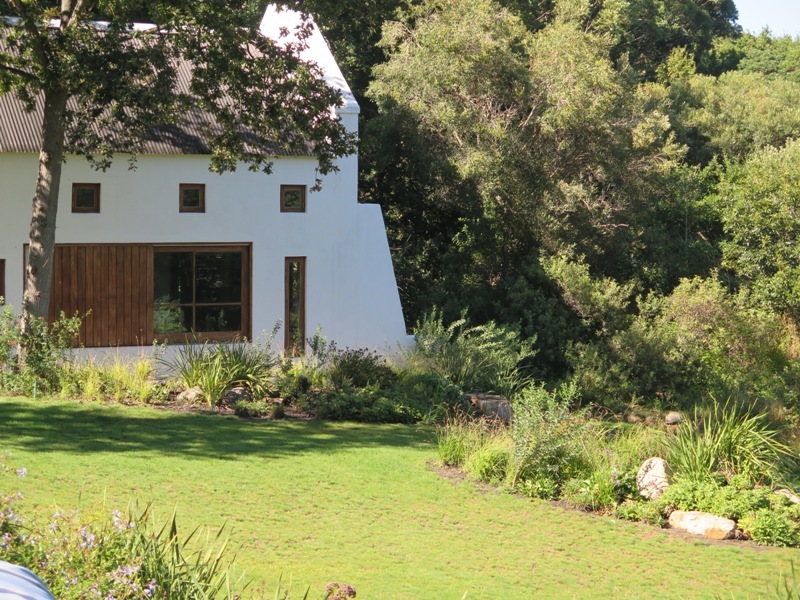 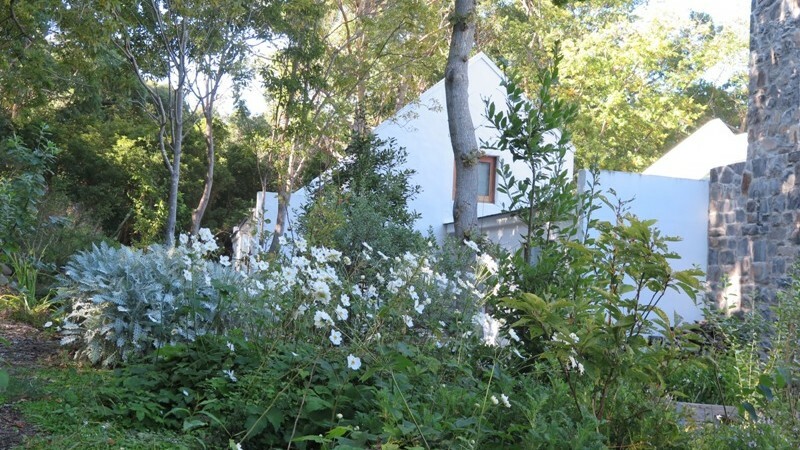 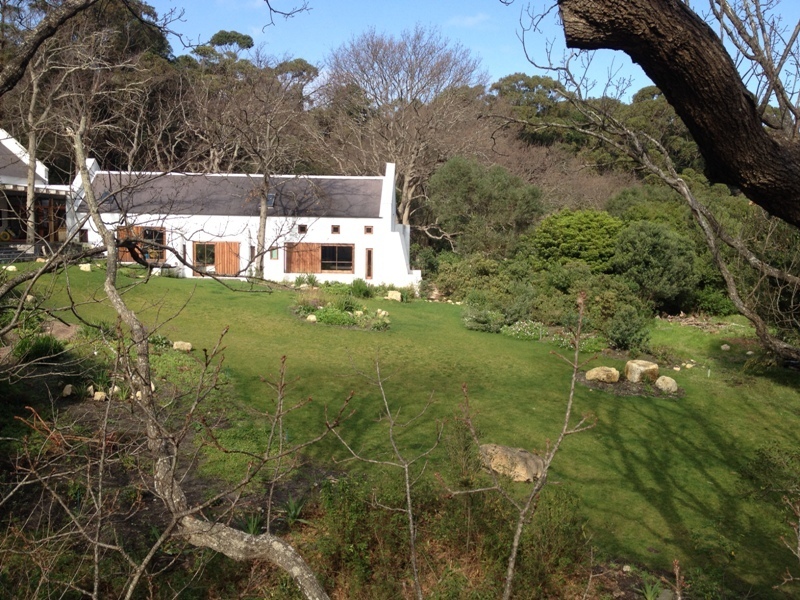 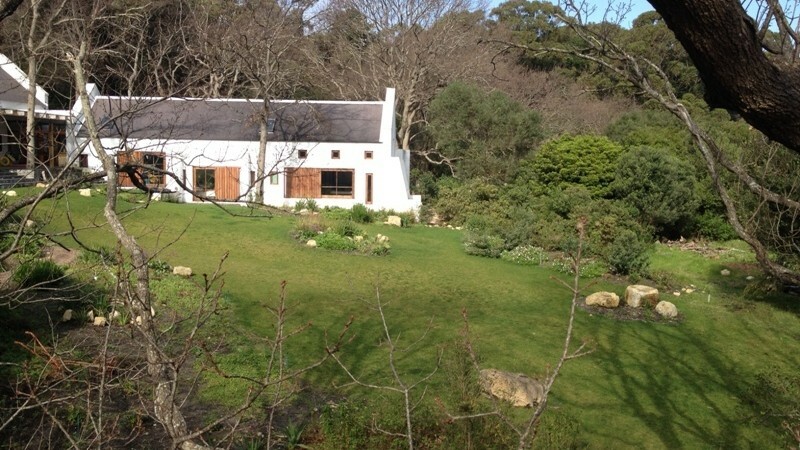 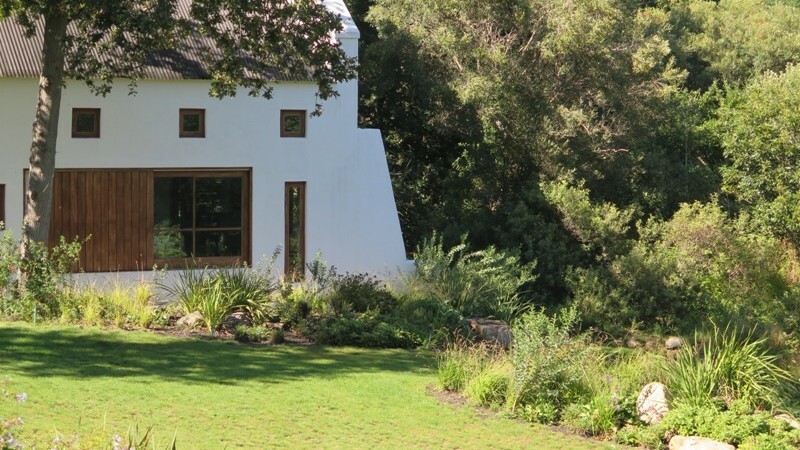 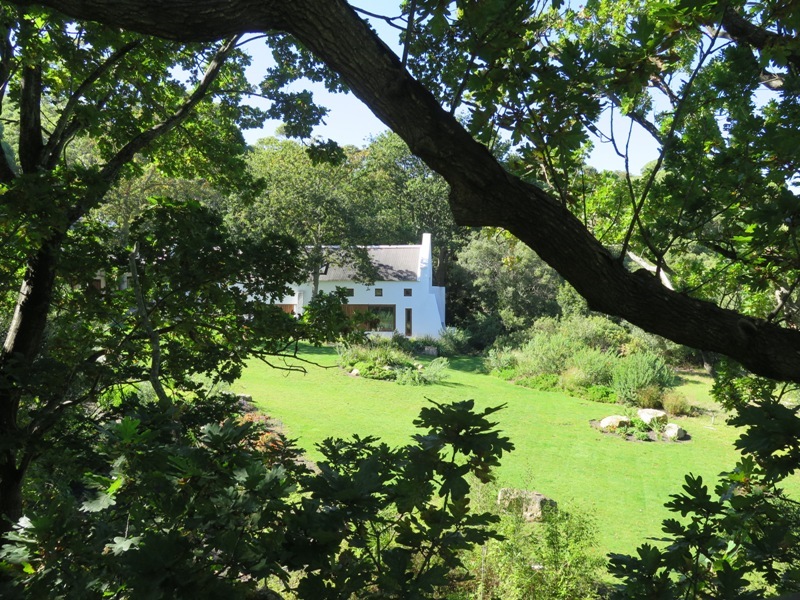 The house, designed by Mark Thomas, is a modern Cape farmhouse. 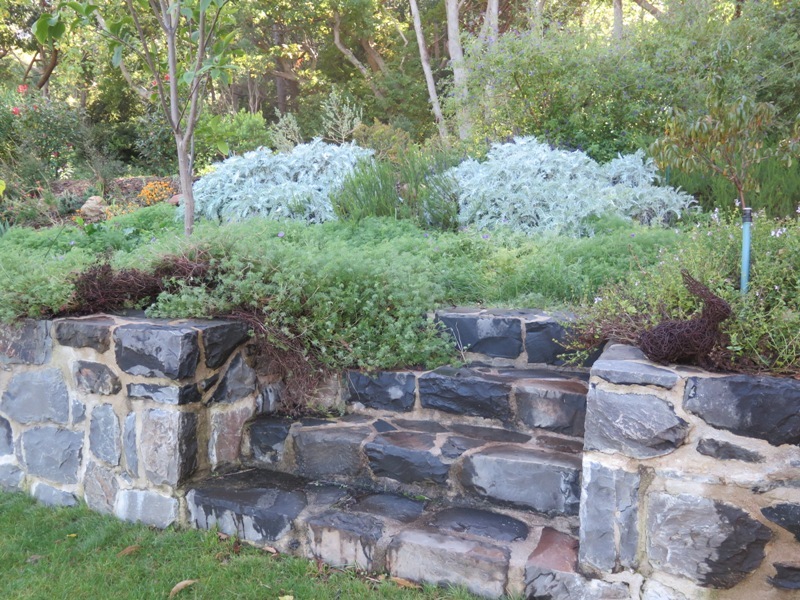 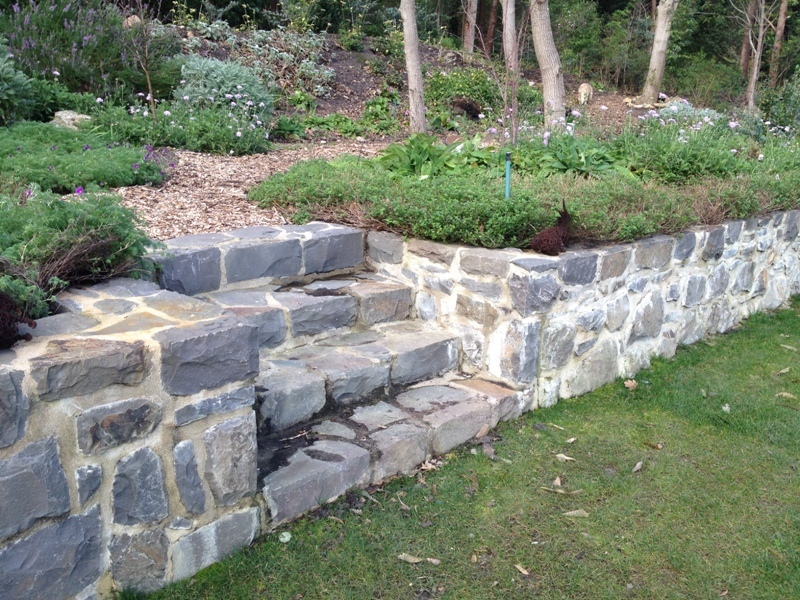 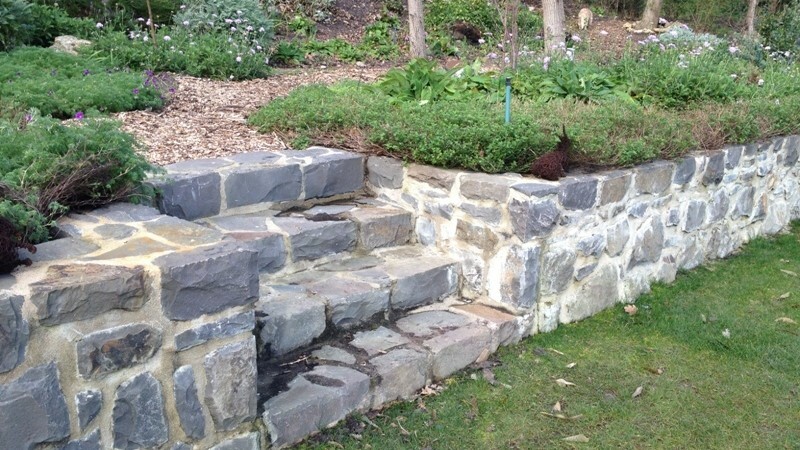 Stonework by Rob Mackenzie, Irrigation by Romi and lawn by Mark Rist.